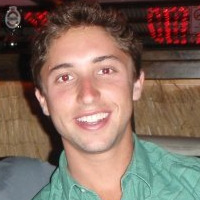 Bryce Maddock is the co-founder of Smarter Social Media. He has been building and branding businesses using social media since 2004. He splits his time between LA and New York and chronicles his adventures on his blog. Jaspar Weir is the co-founder of Smarter Social Media. He has been using social networks to monetize his own ventures since 2004. Born and raised in Los Angeles, Jaspar believes in a healthy balance of online activity and enjoying the real world and California sun. Jeffrey Hirsch is VP of Creative Strategy for Smarter Social Media. Jeff has lead the marketing industry for the past three decades. His great success stories include Pepsi, General Mills, Johnson & Johnson, Reebok, Pizza Hut, Taco Bell, Anheuser-Busch, Disney and many others. Jeff earned both an M.S. in Advertising and B.S. in Communications from Northwestern University. Shawn Shahani is VP of Social Media for Smarter Social Media. He previously worked as a web strategist for American Apparel and his experience has given him a comprehensive understanding of online marketing and public relations. Shawn lives in and loves downtown Los Angeles. Tom Lazaroff is VP of Online Advertising for Smarter Social Media. Tom is a leader in the advertising industry. His experience includes Disney Licensing, the Hard Rock Cafe, and New Balance. Tom earned his B.A. at Stanford University and his M.B.A. from UCLA’s Andersen School of Business. France Jagolino is the VP of Operations of Smarter Social Media. A medical doctor by trade, he has great passion for social media and sees its powerful potential to change the world. He is an accomplished writer and has written numerous articles about leadership, management and personal development on the Internet. Timothy Ashton is VP of Development for Smarter Social Media. Tim began his career working for Microsoft, Intel and Harvard business School. Tim went on to become Director of Engineering at Juice Wireless and Mogreet, Inc. Tim has since started rTag, Inc, a mobile gaming firm, partnered with Smarter Social Media to provide high-end mobile gaming and marketing solutions. Lauren Dobbins is a Social Media Analyst at Smarter Social Media. She graduated from Michigan State University where she is studied the evolutionary nature of the social media beast. Lauren joined the Smarter Social Media team in an effort to implement radical networking techniques that span the social media globe. Jed Cipriano is Social Media Analyst at Smarter Social Media. Jed oversees one of the best teams of content writers in the industry. Before joining the Smarter Social Media team Jed worked for a number of years as a manager at PayPal. He is a loving husband and a proud father of two.